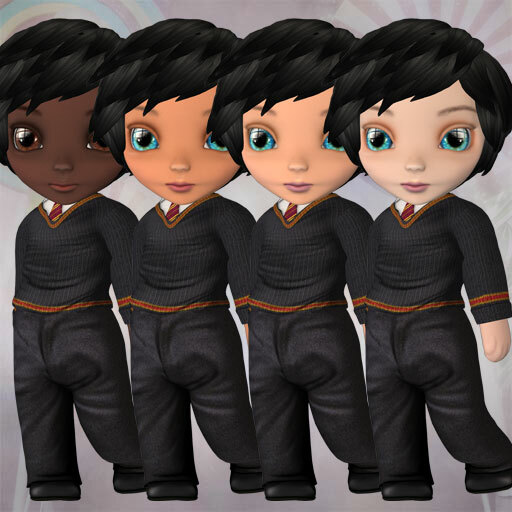 Turn your Dinkies avatar into a Chibi boy or girl! This kit includes the textures for the avatar body and a custom head and shape. The kit does not include the “Make your Own Custom Dinkie Kit” sold by Etheria Parrot. My Dinkies outfits can be worn with this avatar and clothing made for the Dinkies Avatars should fit also. The kit comes with 4 different skin colors: pale, tan, medium and dark. The Chibi Head comes with blue eyes. The dark skinned Chibi Head includes brown eyes. 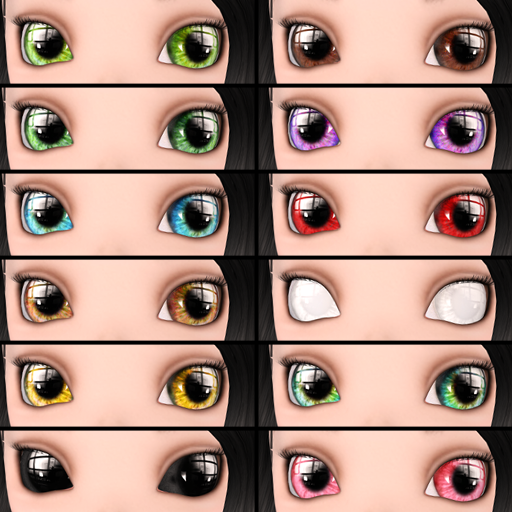 There’s also a selection of eye colors for you to custumize your Chibi. Posted in Second Life, Tiny Corner on August 17th, 2017.